Consists of leafy rosettes and two to four pairs of stem leaves. 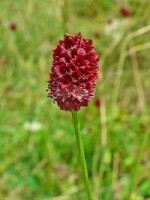 A clump-forming plant with rough leaves and thistle-like reddish-purple flowers. Other names: Common knapweed, Hard-heads, Paintbrush. 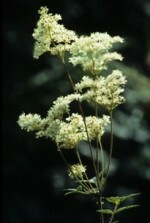 Pale pink flowers form a dense spike at the end of the flowering stem. Other names: Easter ledges, Pudding dock. A small annual with toothed leaves. 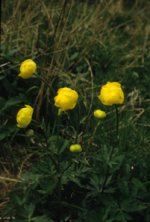 A large member of the buttercup family. A tall plant with finely toothed leaves. Perennial with erect and ascending stems. A northern perennial with shallowly lobed palmate leaves. Frothy white flowers on tall red stems. Tall stems bearing large purple thistle flowers. Tall stems with spoon shaped leaves. Other names: Dog daisy, Moon daisy. A small, delicate plant indicative of undisturbed ground.